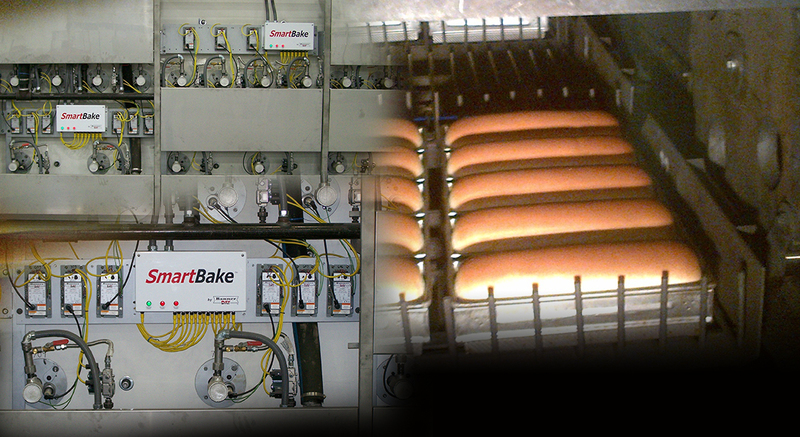 Banner-Day is a specialist in oven performance, combustion, automation and SmartBake® control systems for the baking industry. Grounded in combustion engineering and design, with over 120 years of combined engineering and design experience, Banner-Day possesses an intimate knowledge of the complete workings of bakery ovens and the baking process. Bakers that are frustrated with ovens that bake poorly, are unreliable, inefficient, unsafe and waste energy will find that Banner-Day can help improve oven performance through oven assessment and recommendations that can include oven repair, implementing an oven automating oven control solution, that will increase oven productivity and safety while reducing energy consumption and emissions. Banner-Day understands and appreciates the unique environment associated with baking, where bakers are dealing with dynamic fresh products and have limited opportunity to produce and maintain inventory. It is this unique circumstance that demands flexible, tight and precisely controlled oven temperatures, reliability as well as consistency throughout the baking process. Materials flow easily through a Banner-Day TraceFREE® Electric Impedance Pipe Heating system. The heating system is engineered by Banner-Day so the piping system itself is the actual heating element, heating pipes made from stainless steel, carbon steel, galvanized steel or exotic piping and tubing, as well as the material flowing through them. The impedance system heats the pipe and material flowing through the pipe under several circumstances: heat piping and solid material from ambient to the desired temperature; gradually increase the temperature of the product as it moves through the pipe; and, maintain a constant temperature as the product flows through the pipe. TraceFREE® Systems are built to NEC and IEEE standards, the electric Impedance heated pipe transport system is designed with low voltage energy source that preheat and maintain temperatures from ambient to temperatures over 1400°F. Tight temperature tolerances are kept by means of digital temperature control. With limited preventive maintenance requirements, the reliability and dependability of the Banner-Day TraceFREE® Electric Impedance Pipe Heating system ensures a stable and minimal life cycle cost on the overall system.